Insomniac boss Ted Price is feeling very confident about his team right now, so much so that he has been making some very bold statements. Whilst speaking with EGM he boasted that there is no body better at PS3 development than his “world class” team based in California. Take a look at a couple of quotes below. He added: “However, we spent a lot of time going back and reworking systems we had just barely finished in time for the PS3 launch. I wonder what Sony Santa Monica and Naughty Dog would have to say about that? Insomniac has released five games for the Playstation 3 platform in the last four years, including Resistance: Fall of Man, Resistance 2; and three Ratchet & Clank games including, Ratchet & Clank Tools of Destruction, Ratchet & Clank: Quest for Booty (downloadable) and Ratchet & Clank: A Crack In Time. They are currently working on Resistance 3 and Ratchet & Clank: All4One which are both set for release next year. Earlier this year Insomniac announced that they would be developing multi-platform titles. My opinion? I think the Ratchet & Clank games are brilliant. However when it comes to first person shooters, they have been outshined by the likes of Killzone 3 (Guerrilla Games). Though both Resistance games were quite awesome. 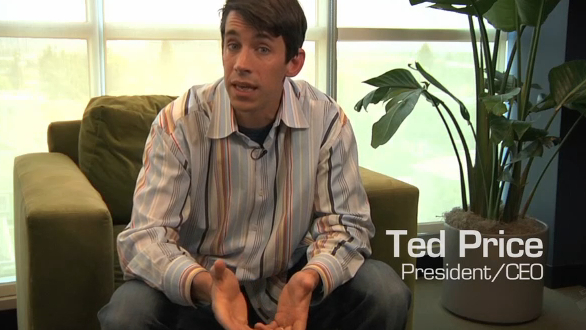 So do you guys agree with Ted? Let us know.